Option 1: PayPal - Clicking on the ‘Purchase Now’ button will take you to the PayPal check out. (A warning may be displayed about a non-secure form. This form contains information about your order but PayPal does not transmit any Credit Card information to A-Bible. To pay in Yen rather than Dollars go the Japanese purchase page. Option 2: Credit Card (via PayPal site) - IMPORTANT: If you purchase by Credit Card, be sure to click on the 'Return to Merchant' button on the PayPal site. To pay in Yen rather than Dollars go to the Japanese purchase page. Once you place your order, you will receive a confirmation from PayPal and a notification is sent to A-Bible Support. 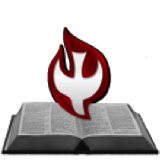 YOU WILL BE SENT AN E-MAIL FROM A-BIBLE SUPPORT WITH THE LINK FOR THE DOWNLOAD. The base set includes the full-featured application, plus the following versions: KJV with Strongs numbers and Greek/Eng & Hebrew/Eng dictionary, ASV, Kogoyaku 1955, Bungoyaku NT, Emmaus Publishers NT, Tsukamoto NT, Chinese Union (Traditional and Simplified). Purchase the Base set and then choose the add-ons you want. English Standard Version with cross references and notes. If you have an earlier version you can upgrade to version 4.0. BEFORE PURCHASING THE UPGRADE PLEASE CONTACT SUPPORT TO MAKE SURE YOU QUALIFY. YOU WILL NEED A CODE TO DOWNLOAD THE UPGRADE. All Bible add-ons from your previous versions will work with the upgrade.